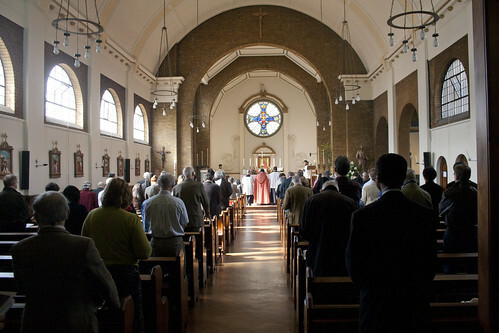 Last Sunday I was in St Bede's Clapham Park, where Fr Andrew Southwell celebrated the usual Missa Cantata, and after Mass blessed roses and simnel cake. Fr Thomas Crean was visiting preacher; Fr Gregory Klaja, a visiting priest from Poland, helped distribute commion, and Charles Finch's Cantores Missae sang a glorious Mozart Mass. 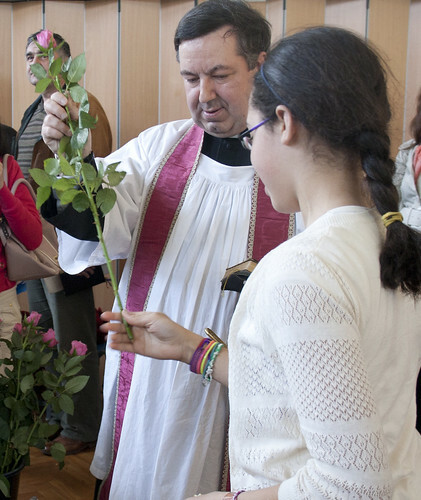 Mass was particularly well attended with lots of children, who were able to give their mothers blessed roses. 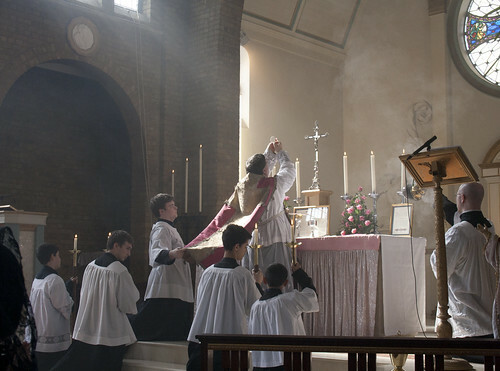 Can we talk about the 'Traditional' Mass? Welcome to the Oxford Ordinariate group!